I wear bright colors whenever I visit my artist friend Jodie Trapani — a pink or red blouse, vivid earrings, a dramatic scarf. It’s a way to be courteous, because color is essentially Jodie’s religion. If you were going to the home of someone orthodox, you’d dress modestly and cover your arms and knees. With Jodie, treating her with respect means pumping up your color scheme. Orange is Jodie’s favorite; in fact, it’s her neutral. Every year she has an orange Christmas tree. Her living room pops with pillows, chairs, an illuminated Buddha, and curtains all in orange. She and I met as soccer moms, and whenever it was her turn to provide snacks, you knew it was going to be special and elaborate. I was touched one Valentine’s Day when she’d not only decorated cupcakes for the girls but brought roses for the moms as well. Jodie’s favorite holidays are Valentine’s Day, Halloween, and Easter. “If you’re going to have a celebration, live it up,” she says. Case in point, Easter. 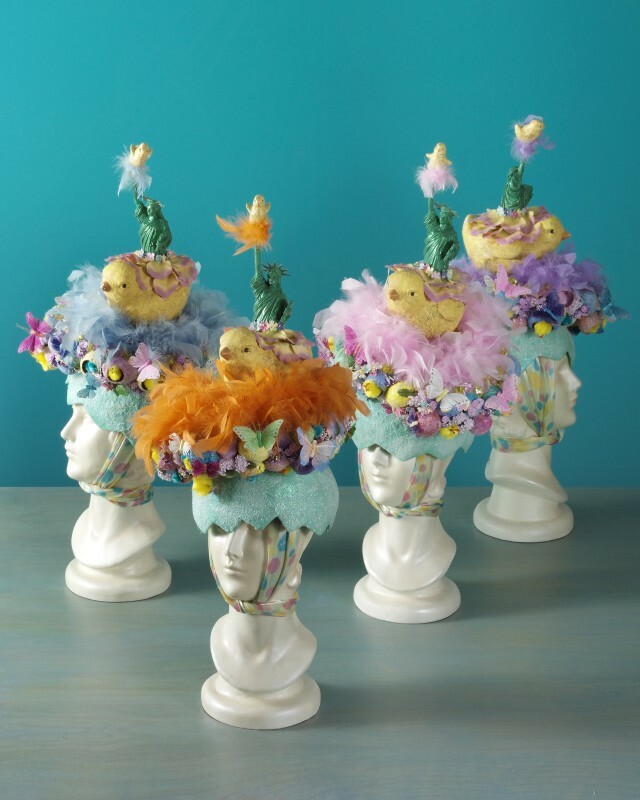 For the past 26 years, Jodie’s been making the most spectacular, flamboyant, and wacky Easter hats that she, her two daughters, and a friend wear at the Fifth Avenue Easter Parade. Jodie calls her coterie the City Chicks. 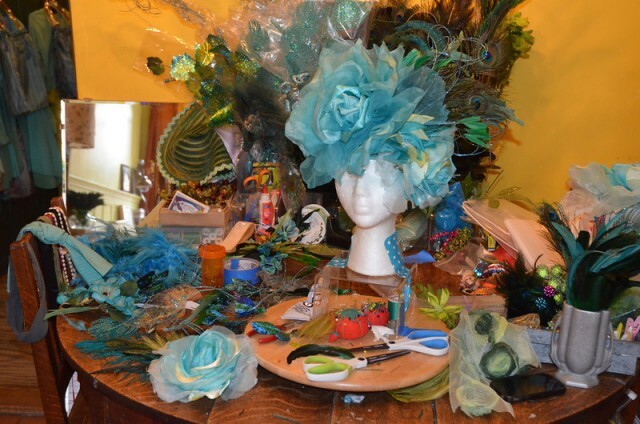 As I write this, it’s March 23, a week before Easter, and Jodie’s work table is overflowing with incandescent teal ribbons, feathers by the pound, milliners flowers, glitter tulle, veiling, crystal-beaded grape leaf sprays, trim appliques, pompom fringe, safety pins, polka dot duct tape, and other notions. A beautiful and overwhelming mess of color, sublime textures, and promise. One spool of silver-lined aquamarine ribbon is so gorgeous I kiss it. 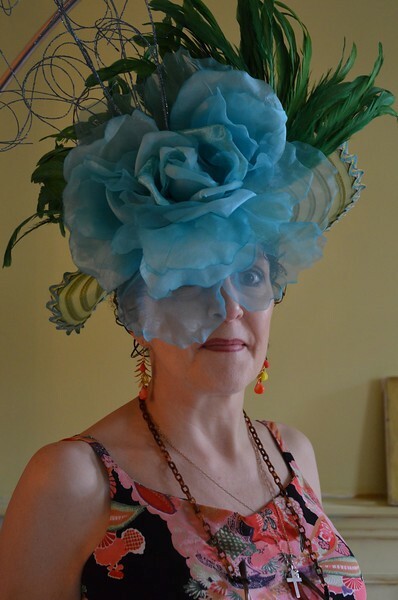 Jodie has completed one hat, and it’s a masterpiece, a feminine pirate-type hat, adorned with an array of giant azure cloth flowers, a sparkly antenna, a peacock plume. Given that she’s a self-described perfectionist, she’s tempted to take it apart and start over. I try to dissuade her. What compels Jodie to work so hard on these details for Easter? And not only the hats but also the coordinating outfits? (One year she had 16 City Chicks in tow.) Jodie tries to explain. “It started off innocently as part of a way to instill family tradition. As each child came into the world, it became something we did together. 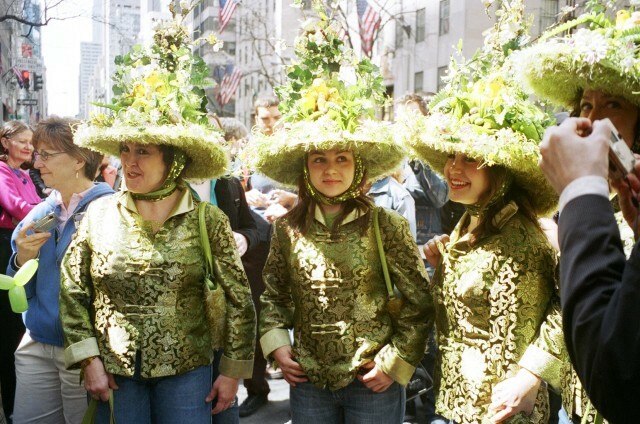 Going to the Easter Parade was as much about observing the other hat-wearers as it was about participating. “But as time went on, it became a platform for creative expression for me. 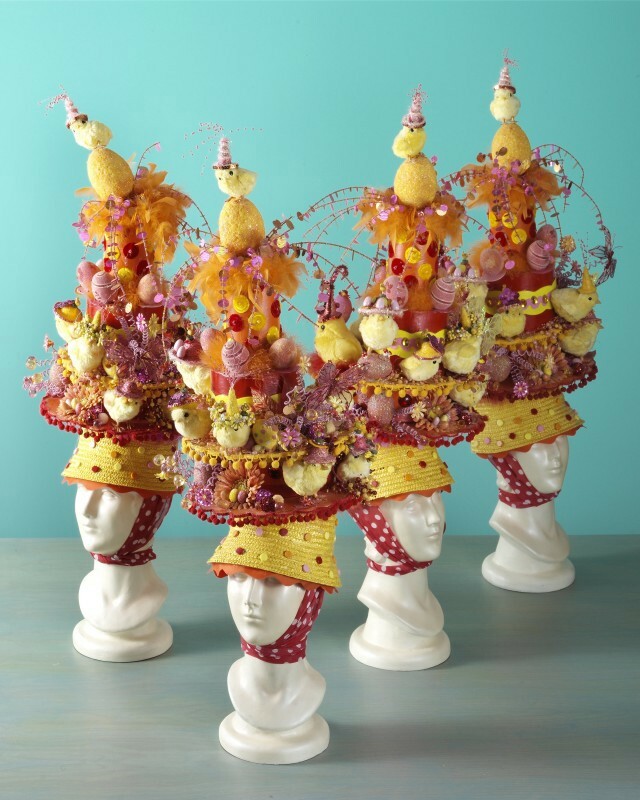 Most of the time as my daughters were growing up I worked multiple jobs and never really had the time or the focus to figure out what creative venue I wanted to follow.” For 20 years Jodie worked as the prop and styling person for a prestigious ad agency. 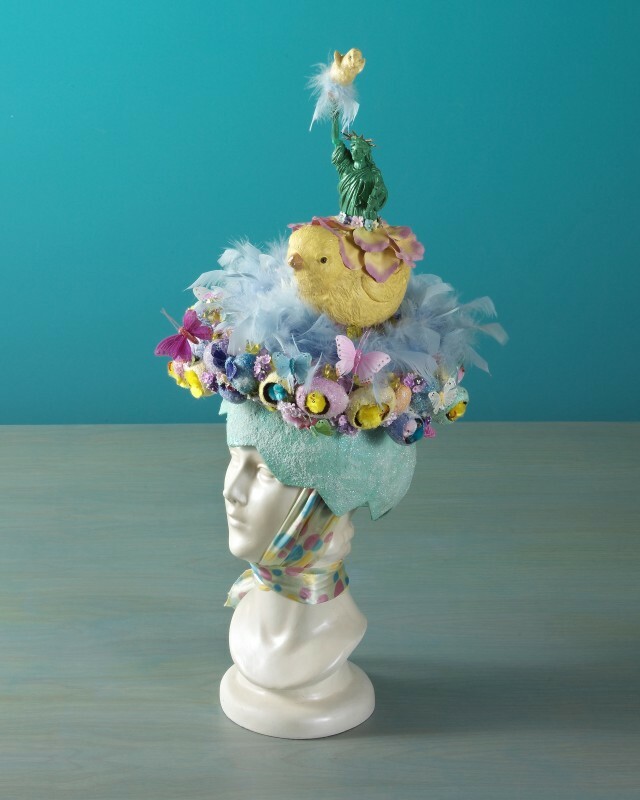 “Making Easter hats was very finite, both in its medium as well as its completion. I was forced into those parameters, which kept my nose to the grindstone. It took an enormous amount of time and effort, but it was received so well, the gratification was there and wonderful. It was a form of performance art as much as anything else. 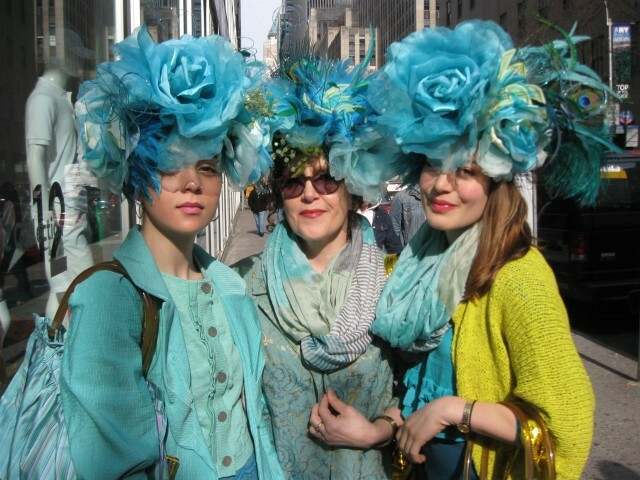 On Easter Sunday, the City Chicks will join the huge throng of Easter celebrants in their holiday finery, along with visitors from around the world who watch and photograph them, as they promenade up Fifth Avenue. One of the details that win people over are the pastel-colored marshmallow peeps that the City Chicks hand out. 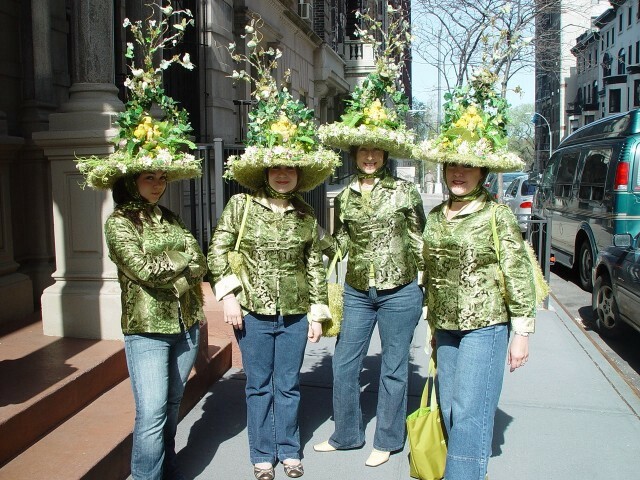 From previous experience, Jodie knows to get out of the cab a couple of blocks south of the parade, so that the City Chicks can assemble themselves and fix their hats before they’re surrounded by photographers and admirers. In years past, people have swooped in before they were ready, handing them babies to pose with before they’d even gotten out of the cab. Despite the stress of the frenzy, Jodie relishes the attention. 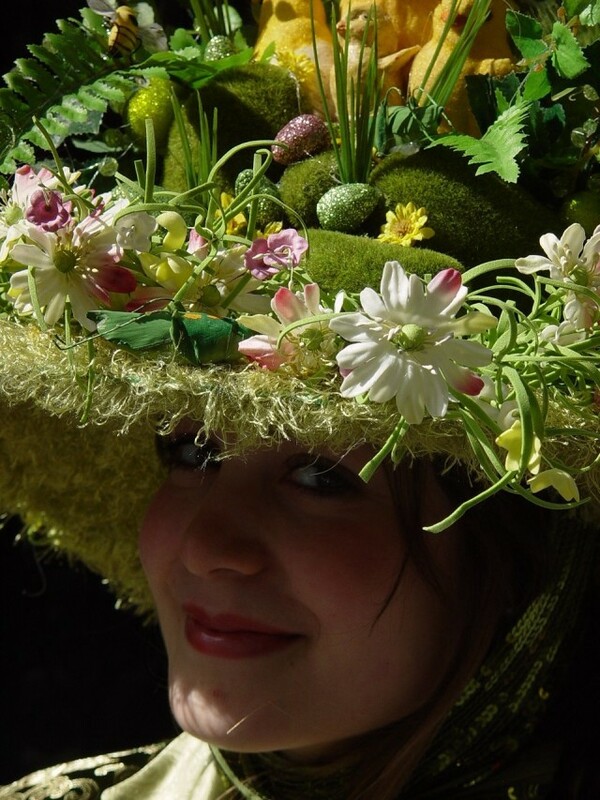 She talks fondly about the camaraderie among the core of people who come every year wearing their fabulous Easter hats. 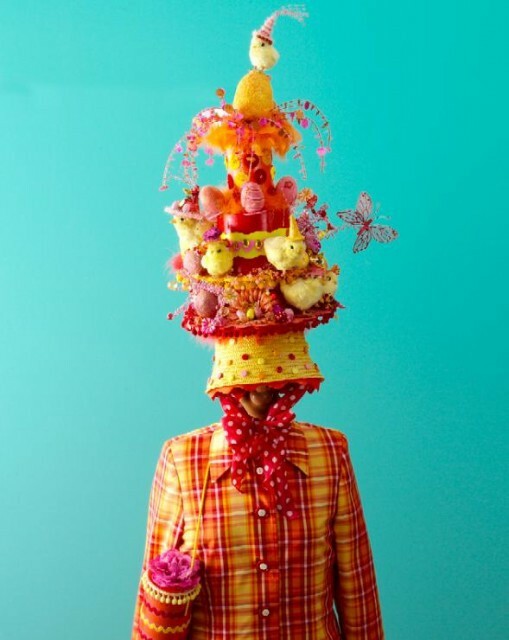 In 2008, Jodie won $1,000 for Best in Show and another prize for Silliest Hat at the Mad Hatter’s Easter Bonnet Contest at Tavern on the Green. 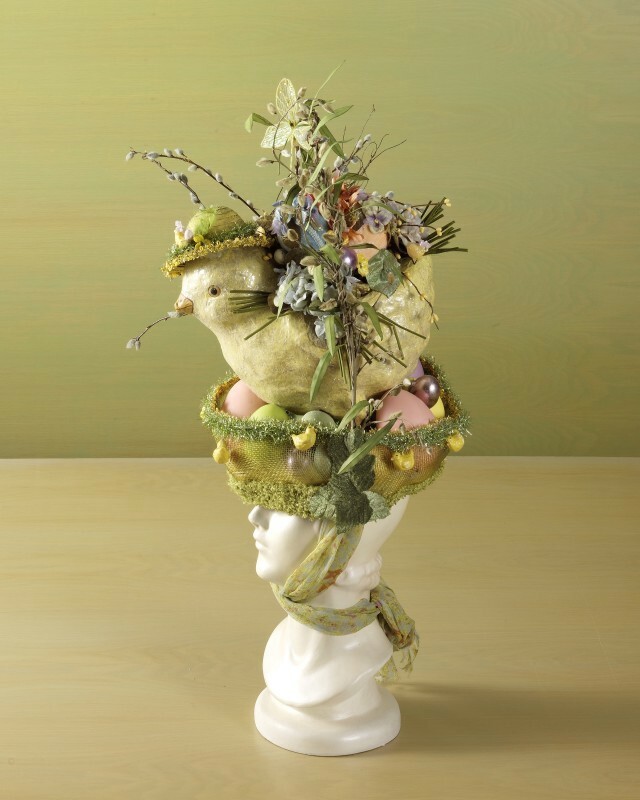 That year the City Chicks wore large papier-mâché chicks in egg-filled baskets covered in flowers and butterflies. Her dream is to have a hat retrospective. It would legitimize her craziness, as she puts it. “I take over the house with weird stuff,” Jodie concedes. That weird stuff is, in my opinion, part of her charm. 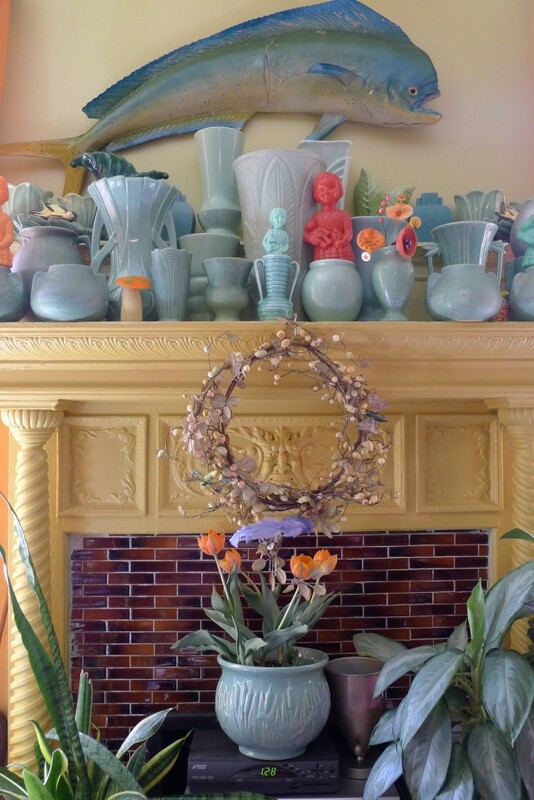 Jodie’s whole apartment is a warm, wonderful study in color and style, from the bathroom resplendent in Madonnas and other Catholic iconography, to the brilliantly colored collection of American art pottery (Stengel, McCoy, Haeger, Fiestaware, Roseville) and the big blue fish over the fireplace. (Jodie has no qualms about mixing high and low art: “You can elevate anything to the proper level.”) Even looking in her closets to see how she’s organized her art supplies is mesmerizing. 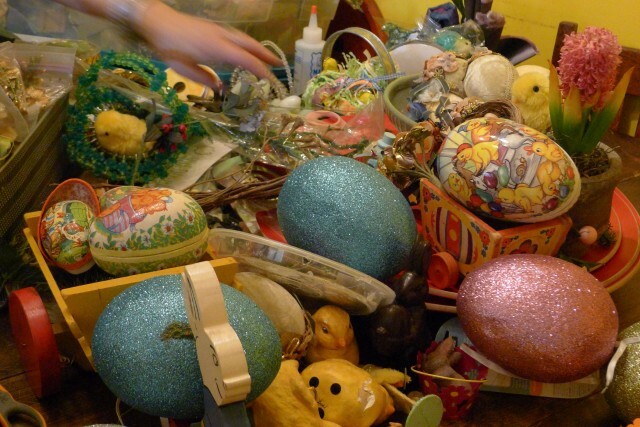 This year, Easter dinner will be at Jodie’s daughter Emilia’s home, and even with all the fussing over the Easter hats, Jodie has already made a quiche, an apple pie, a ham and applesauce. Jodie Trapani with her daughters Rosie and Emilia. Justine Blau is the author of the recently published memoir ‘Scattered,’ her account of growing up chronically homeless in ‘60s-era Manhattan. Photography by Barbara Ehlers and David Weiss. Should You Put Whipped Cream In Your Coffee Every Day As A Treat?